Welcome to Coyote Creek, Alberta's most spectacular Golf and RV Resort. WANT TO PLAY A ROUND? 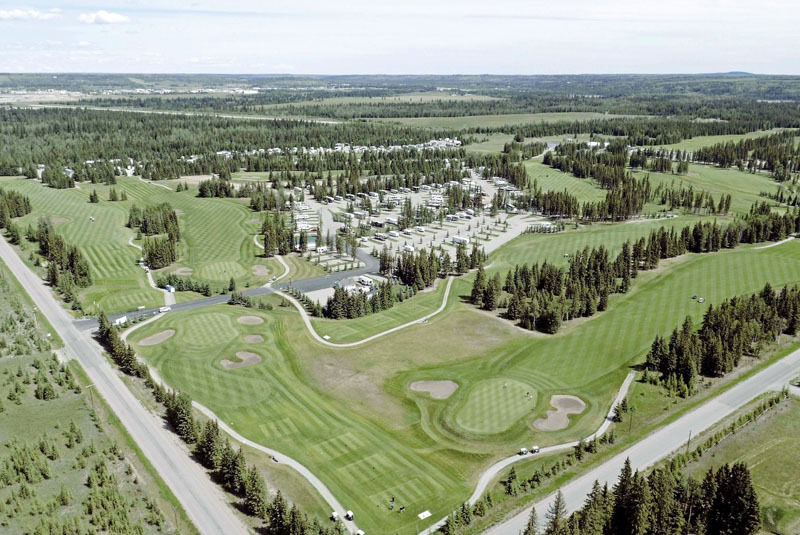 Alberta’s most spectacular Golf & RV Resort is located just west of Sundre, AB in the shadows of the Canadian Rockies. The Town of Sundre is located 40kms West of Olds and approximately a one hour drive from Calgary and Red Deer. 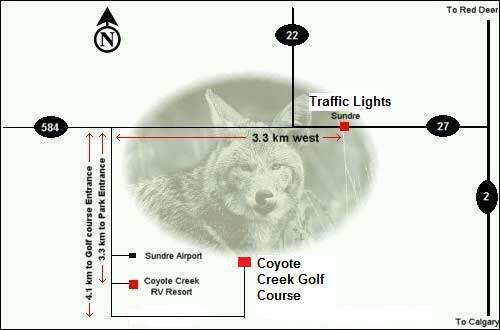 Coyote Creek Golf & RV Resort has become the Golf and RV enthusiasts’ destination of choice. You get the best of both worlds here at Coyote Creek, play golf all day and stay at your very own recreational property at night enjoying a campfire and the peace and tranquility of the resort. …Come for a day …Stay for a Lifetime! Coyote Creek Resort, is located in the scenic foothills of Canada's majestic Rocky Mountains. It all started in the fall of 1999. A group of local residents met to discuss an exciting new venture. This group generated ideas and plans to build a golf course and RV park. The ideas grew and blossomed and a company was formed on July 19, 2000. Powered by Annual Golf Designs Inc.